Join and enjoy this motorcycle tour to several regions in Italy. Discover some of the most interesting motorcycle routes in Italy. 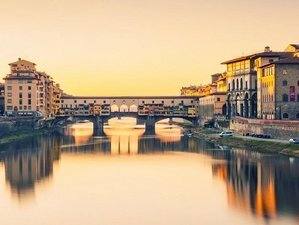 These daily journeys will take you to Lucca, Pisa, Florence, Siena, Cinque Terre, Chianti country, and more. At the end of the tour, riders will have traversed some of the most technically challenging roads in Tuscany and surrounding regions of Italy. Your accommodations will be four-star hotels; Florence and Lucca are located on the outskirts of town to ensure ease of access to the surrounding countryside whilst Best Western Grand Hotel Royal Viareggio is on the beach and the Royal Sporting Hotel in Porto Venere is a short stroll along the waterfront from the old town. With clients arriving at different times of the day, this will be a non-riding day. Most will want to visit the tourist attractions of Florence and city sightseeing is best done on foot. Florence is a fascinating and bustling city. Each person will have different interests whether that be visiting places of worship, museums, markets, and shops or just wanting to absorb the architecture. Florence will have something that shall appeal to each and everyone. The hotel is located about two miles from central Florence which makes it ideal to escape by bike into the surrounding Tuscan countryside. There is a bus stop at the door and the journey into town can take about 20 minutes at the busier times. Those interested in walking can reach the historic centre in under an hour and for a more scenic walk, you can stick to parkland and the riverside which add about a further 15 minutes to the journey. Popular tourist attractions in Florence include the Historic Centre with its Piazzas (Piazzale Michelangelo, Piazza della Signoria, Piazza del Duomo, etc. ), famous statues (Statue of David, Perseus Statue, etc. ), art galleries such as the Uffizi, places of learning (Galleria dell'Accademia and Bargello Museum), beautiful churches (the Basilica of San Miniato al Monte and Duomo Cathedral of Santa Maria dei Fiore), and an abundance of lovely buildings such as the Cupola del Brunelleschi. So, there will be no shortage of things to do and see. This is intended as an easy day trip to allow riders having time to adjust to Italian riding and to allow those who arrived late on the first day for the opportunity to visit the sights in Florence. Departing the hotel, you first make your way to Fiesole where there are outstanding views across Florence. There are also Roman ruins including an amphitheatre and baths, Etruscan walls, and the hilltop where Leonardo da Vinci first experimented with the concept of flight. There is also a rather odd museum that houses Egyptian and Oriental artefacts. So, with mere 30 minutes from the hotel, there is rather a lot to see in such a small town. After seeing some of the sights in Fiesole, you shall make your way to Poppi which is dominated by Castello dei Conti Guidi but there is a lot of other pretty spots to see in the town. It is a charming town and the castle setting commands great views of the surrounding countryside. You shall take a refreshment break here and then continue your circuit. The return trip brings you through a protected natural area that is woodland in parts and some quaint villages. The road just twists and turns mile after mile but being single track and with the occasional logging lorry, you will be travelling at a relaxed pace. You take a refreshment stop at Leccio where there is a mall with designer outlet shops, so, if anyone wants to pick up some gifts, this might be a convenient location. The final leg of this route brings you back to Florence on the southern side on the Amo river. You shall pass some of the features including the Piazzale Michelangelo and Abbazia de San Miniato al Monte where riders can stop to take pictures before you return to the hotel. Once back at the hotel, you can travel into the city by public transport to see other primary sights of Florence. As you move from the hotel today, you shall depart Florence a little later and make your way across the country to Vinci. As you might guess from the name, this is the birthplace of Leonardo da Vinci. You stop at his former home dating from 1427 and the museum dedicated to his life. You continue your journey making a brief stop at the ancient bridge at Ponte a Cappiano where the Usciana channel joins the Arno river. This bridge dates back to around AD100 albeit the current hostel that straddles the bridge is medieval. As you traverse the narrow crossing that passes under the hostel, look out for the stone plaque on the wall to your right as you pass under the first arch. A little further, you stop at La Voletta, a restaurant / pizzeria, which sits at the edge of a sport fishing pond (the service might be slow if the fish aren't biting!). This is a convenient place to stop for lunch and the food is great. The largely single track road you take over from the hills to Lucca winds its way through heavily forested landscape but where the tree line breaks, you get the great views of the surrounding country including a glimpse of Pisa in the distance as you're near the highest point on the road. Then, descend to Lucca where you shall be staying in a four-star hotel, about 1.5 kilometres from the ancient walls of the city. After settling into the hotel, you can walk or take a bus to the town to see the old city of Lucca. You depart Lucca and join the SP1 with the Torrente Freddana, a small river, to your left before deviating onto some single track mountain roads with several tight turns and hairpin bends. This first section of the day is mere 50 kilometres but will be challenging to some and so is likely to take at least an hour and a half to reach the Grotta del Vento which is in the centre of Apuan Alps Park. Millennium of weathering have carved the limestone rock to create impressive natural sculptures. You shall allocate an hour to view the caves (you can spend much longer but it is not easy in bike gear) so after the visit, you stop for lunch at neighbouring Restorante Il Rondone which famed for its local produce. You continue your journey to Barga heralded as the most Scottish town in Italy due to the large number of Italians who settled in Scotland and returned to Barga for holidays and / or retire. It's not surprising, therefore, to see a British Red Telephone box in Via Marconi just outside the old medieval town wall. You continue in a northerly direction through San Romano In Garfagnana to Fortezza di Verrucole. This partially restored medieval fortress is 600 meters above sea level and gives an excellent perspective on medieval life. Remaining on a fortress theme, you shall make your next stop at Fortezza Della Brunella in Aulla, an imposing renaissance structure named after the colour of the rock. On this occasion, you will only plan to view from the outside when you take a refreshment break. The final leg of this route brings you to the coast in Porto Venere. Your accommodation is the four-star Royal Sporting Hotel which shall be the base for the next few days. Riding is optional today because the Cinque Terra is best viewed and accessed from the sea. If you visit the towns via road, you need to park high up the hill and walk down to the towns. After a walk to inspect the old castle in Porto Venere, you board a hop-on-hop-off boat to visit the string centuries-old seaside villages that form the Cinque Terra. Each of the 5 towns has colourful houses and vineyards cling to steep terraces. The harbours are filled with fishing boats and trattorias server speciality seafood dishes. Those feeling more energetic might prefer the Sentiero Azzurro cliffside hiking trail that links the villages and offers sweeping sea vistas or to take the train that connects the coastal towns. Naturally, if you prefer to ride between the towns of Cinque Terra, that too can be arranged. Departing Porto Venere, you hug the coast passing La Spezia naval base and continue passing Lerici crossing the Magra to Carrara before moving inland to Massa where you take a short refreshment break. You then enter twisty mountain roads that continue to Orto Botanico delle Alpi Apuane “Pellegrini-Ansaldi”, a botanical garden established in 1966 to conserve and enhance the flora of the Apuan Alps. It belongs to the Municipality of Massa and it is currently managed by the non-profit association. Best change out of your riding boots if you want to fully explore because it can be a bit of a hike but the mountain views are a great reward for the effort. You continue on mountain roads and ride through a long tunnel on the Strada Provinciale di Arni which is over 1-kilometre long. You drop down from the mountains back to the coast where you stop at Lido di Camaiore for lunch and a paddle in the sea. As you depart Lido, you pass Lago di Massaciuccoli. The composer Puccini lived in the village of Torre del Lago that nestles between the lake and the sea. You will be staying at the Best Western Grand Hotel Royal Viareggio on the coast about 18 miles west of Lucca. After checking in, you make a further trip past the lake to arrive in Pisa. The main sites in Pisa such as the Domo and the tower always have queues so those who wish to see inside the Domo or climb the tower should purchase tickets and book an appointed time. This will minimise waiting times and you can wander off to see other parts of Pisa and return at the allotted time. Exiting your hotel in Lucca, you head east making your first stop about 30 minutes later at Collodi, the birthplace of Carlo Lorenzini who is better known by his pen name Carlo Collodi, the author of Pinocchio. The village of 12th-century origin cascades down its hillside and is a well-preserved example of medieval architecture. The grand villa that dominates the lower section of the old town is in a somewhat dilapidated state. When Brian, the founder of McTours, last visited it (June 2017), it was for sale for 19 millions EUR! Now, it has 38 bedrooms and 12 hectares of landscaped gardens, but needless to say, it is not selling very fast. Please note that you cannot ride up to the old town so be prepared for a steep climb if you want to view the old town. The next hour of the journey continues over a mountain road the early part of which has a paper mill. The road is narrow and large trucks travel up and down to the mill so added care must be taken on the bends. Beyond the mill, the roads are relatively traffic free and especially good views await you as you near Bagni where you shall take a brief refreshment break. The route progresses into the mountains to the Ski resort of Abetone and a little further on, you break for lunch at a bar on Monte Simone just across the boundary between Tuscany and Emilia-Romagna with great views all around. After lunch, you circle Monte Cimone as you head east to Porretta Terme in the Reno Valley area of the Tuscan-Emilian Apennines largely along the SP324 which is a great Alpine road passing through many pretty villages. Porretta Terme has been famed since Roman times for its thermal springs. The town also hosts soul music festivals in the spring and summer months. It is a great spot to stop for a refreshment break. The final leg of this route descends from the mountains to bring you back down to Lucca passing through some lovely scenery and villages along the way. Heading south from Viareggio, you enter Chianti country and make your first stop at the Medieval town of Certaldo Alto. The town is heaving each July during the town festival. The best value for money calzone Brian has ever eaten was at Da Messer Boccaccio in a pretty garden setting within Certaldo. You will stop here for a refreshment break. You depart Certaldo and continue south to Siena, a world heritage site. As one of Italy’s most visited cities, the centre is a busy place and can be challenging for a group of bikes to stay close together. Therefore, park the bikes outside the city walls and walk the remainder of the journey. You shall take lunch at Bar Il Palio overlooking the Piazza del Campo. Changing direction and heading back in a northerly direction, you next stop at the pretty village of Castellina in Chianti with parts dating back to the Etruscan era. There is a museum within the 14th century tower. Outside the town, there are four 7th-6th century BC tombs. You shall take a short break here and wander through the old town streets and back alley. Your journey continues towards Florence making a stop at the town square in Figline Valdarno where you stop at Elmi for an ice cream (you cannot come to Italy and not have an ice cream and Elmi makes a great selection). You complete the day at the Best Western Plus CHC hotel just outside the centre of Florence. This will be your departure day. McTours has a range of motorcycles available for hire and can also source additional machines from a number of mainstream dealers. Motorcycle availability must be confirmed. Prices and terms will be set by the dealers who supply the bikes. Please note that maps are indicative because it is not always possible to enter all the waypoints and on the day of departure as McTours needs to review the routes based upon the latest traffic and weather information available making changes as and when necessary. This motorcycle tour covers several regions in Italy including Tuscany, Emilia-Romagna, and Umbria. You will ride from Florence to Lucca, Porto Venere, Viareggio, and back to Florence. The Mugello GP takes place the first weekend in June and so some might prefer to arrive early and go there on Friday or perhaps visit the GP in preference to touring Florence. If you would prefer this, please let McTours know and they shall do their best to accommodate your needs. Please book your flight to arrive at Florence Airport (FLR) or Pisa International Airport (PSA). Transfer from and to these airports are available upon request. Those arriving at airports further afield such as Rome will be given guidance on how to make the onward journey to Florence and McTours shall arrange to collect you on arrival in the city to be taken to the hotel. Airport: Pisa International Airport Airport transfer included: Pisa International Airport No additional charges. You can request this in the next step. Airport: Florence Airport, Peretola (Amerigo Vespucci Airport) Airport transfer included: Florence Airport, Peretola (Amerigo Vespucci Airport) No additional charges. You can request this in the next step. The rest of the payment should be paid 56 days before arrival. McTours is committed to customer satisfaction and consumer financial protection observing "The Package Travel and Linked Travel Arrangements Regulations 2018". The default currency for this tour is EUR. Any price given in another currency is indicative and will be checked against the exchange rate when paying. Once your tour package has been paid in full, the price is locked and will not adjust regardless of what happens to exchange rates. McTours has never cancelled a tour even when only one person has booked. Naturally, McTours needs more participants to make each tour viable but McTours understands that clients have other expenses related to their holiday and so McTours are happy to cover the loss if insufficient riders book. If you bring a pillion, McTours only charges a modest extra fee to cover the food they eat and the minimal support they need. If there are more than 8 riders booking, McTours splits the group and add extra tour guides.